About us | Surrey Is The Bomb dot com! Welcome to SurreyIsTheBomb.com! My name is Scott Graham and I love Surrey. I have lived in this amazing city since 1988 and I am very proud to be raising a family here. I went to T.E. Scott Elementary School in Newton and Graduated from Frank Hurt Secondary School in 1996. 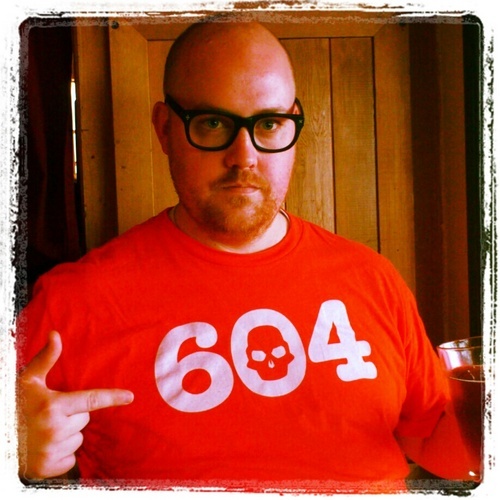 A few years ago I started writing a Greater Vancouver based food blog called WhatsForLunchBC.com. SurreyIsTheBomb.com came to life shortly after the Stanley Cup riots of 2011. The City of Surrey was getting torn apart by social media and even some main stream media. They were blaming the riots on “People from Surrey” and I couldn’t keep quiet about how wrong they were. I wrote a post for WFLBC about the reaction of Surrey residents to the game 7 defeat of the Canucks, you can read it here, and it got such an incredible response that I couldn’t ignore the need this city had for a champion, someone to defend it and promote its greatness. There is a stigma that surrounds Surrey, put there by people who have never lived here and in a lot of cases have never even been here. My aim is to educate those who have been misinformed. I hope you like what you see on this site, it makes me proud to share it with you.